Hardwood floors are a very durable yet not immune to damage. While water damage is very common, scratches and dents are high on the list of repair calls that we regularly receive. What’s the biggest offender? Furniture. Too often homeowners push a heavy chair or table over their beautifully refinished hardwood floors just to find a long gouge trailing behind. Accidents are sometimes inevitable, but prevention is key. The first thing to keep in mind when moving heavy furniture over your hardwoods is to prevent injury. Always have a friend to help. Scratches in the floor may be easily fixed, but a hurt back may cause problems for years. Secondly, keep in mind that lifting the furniture is the sure way to prevent scraps. While many pieces of furniture can be easily lifted by one or two people, other pieces are two heavy and pushing them across the floor is the only way to go. 1. Find a sturdy old blanket or scrap carpet leftover from before the install (clean with the soft side down). A piece of cardboard on top of the blanket may add extra protection. 2. Clear a path for the object to slide through. Move all carpets or other objects in the way. 3. While lifting one corner at a time, slip the blanket or carpet completely under the piece of furniture only under areas touching the floor. If moving a bed or table, 4 separate pieces of cardboard or scrap carpet work well. 4. With a friend’s help, pull the blanket across the floor, with one person behind to push and spot. Keep the blanket as taught as possible. Warnings: When moving heavy furniture, do not lift the item too high, as this may result in tipping or loss of balance (especially with top heavy furniture). Also, remove all loose items from the furniture’s surfaces and interior. 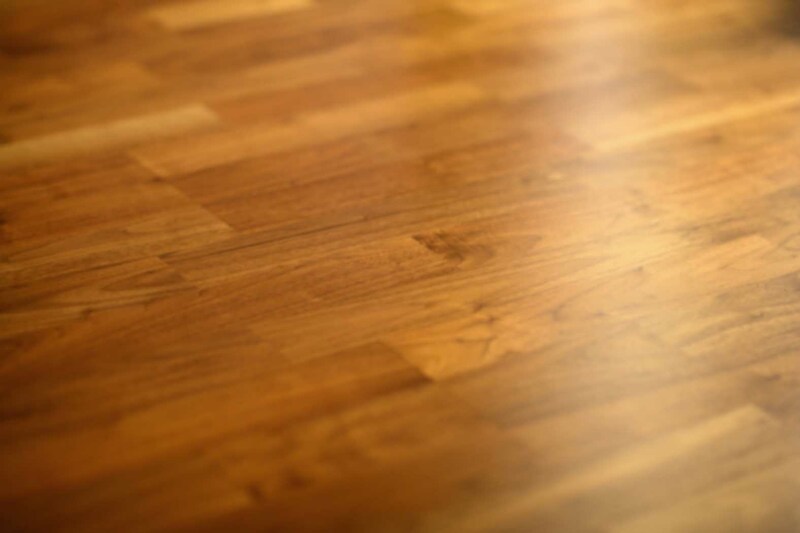 « Refinish Hardwood Floors Without Sanding?